In the early days of the National League, the Chicago franchise was the class of the new circuit. Then called the White Stockings, the team won the championship in six of the league’s first 11 seasons. Led by Hall of Famers like Cap Anson, King Kelly, John Clarkson and Al Spalding (as well as a lesser known contributor named Billy Sunday, who would later gain notoriety as a world-renowned evangelical preacher), the Chicago teams of 1880s were one of the baseball’s first dynasties. 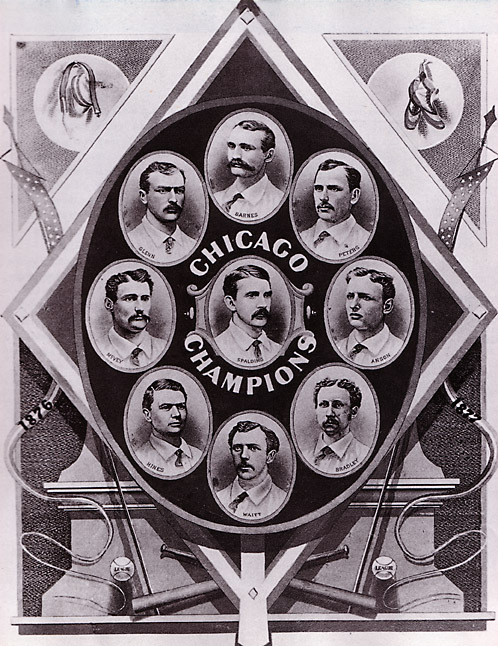 In 1876, the Chicago White Stockings were the first champions of the National League. After a decade of futility, the Cubs, as they were now being called, had another run of success from 1906 to 1910. Over that five-year span, the team won two World Series and four pennants, and each season won at least 99 games. In fact, the one year the Cubs didn’t win the pennant, they won 104, but still finished six games behind the Pittsburgh Pirates. Since the second Cubs’ mini-dynasty, the team’s history has been mostly marred by ineptitude or sudden failure just before final victory. As a result, the entire organization has taken on the persona of hard luck losers. Some have attributed that fate to a curse, but Billy Goat or not, the last 100 years haven’t been very kind to the north-siders. A Yankees series versus the Cubs is baseball’s study in contrast. On one side is the sport’s most storied and successful franchise, while across the field is a team best known for its epic futility. However, despite being miles apart from the Yankees in terms of accomplishments, the Cubs remain in the same ballpark when it comes to fan support. In 1908, the Cubs won 99 games and repeated as World Series Champions, while the New York Highlanders, as the Yankees were then called, lost 103 games, the most in franchise history. At the point in time, the Cubs might have been considered the sport’s elite, while the Yankees would have been a candidate for laughing stock, but, needless to say, a lot has changed since then. Listed below are five interesting historical tidbits that help put the two franchises’ reversal of fortune in proper perspective. The Cubs have gone 7,936-8,026 (.497), while the Yankees have gone 9,145-6,796 (.574). 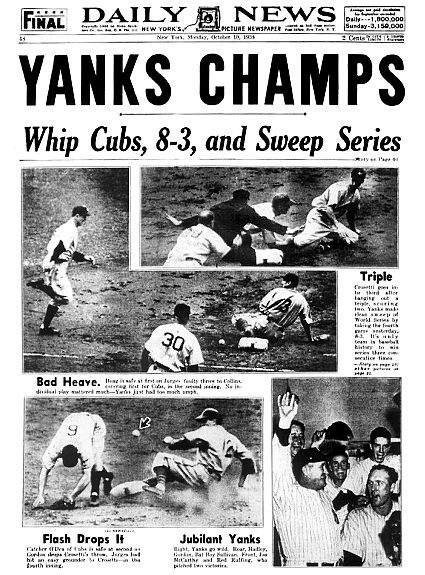 The Yankees swept the Cubs in both the 1932 and 1938 World Series. The Yankees have finished in first place 45 times, or as often as the Cubs have had seasons above .500. The Yankees have finished in last place three times (1912, 1966 and 1990), while the Cubs have brought up the rear 12 times. The Yankees have only finished lower than fourth on 18 occasions, compared to the Cubs at 47. The Yankees have won nine more World Series championships (27) than the Cubs have won individual post season games (18). The Yankees have won more World Series games (4) at Wrigley field than the Chicago Cubs (3). The Yankees and Tigers are the only two teams to celebrate a championship at Wrigley Field.